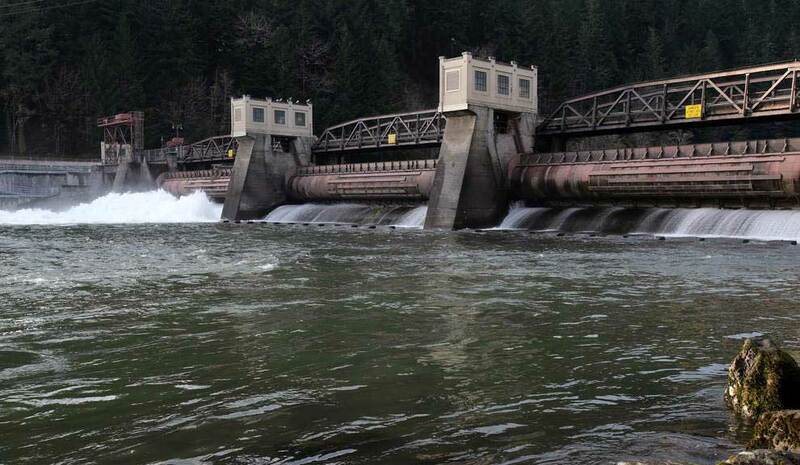 The Eugene Water & Electric Board said Wednesday that it’s moving quickly to repair the Leaburg Dam after the second of its three floodgates stopped functioning on Tuesday. EWEB officials said the contractor would speed up its on­going repair work on the first gate that failed, the No. 2 gate, in order to finish in mid-­January, about two weeks earlier than scheduled. The No. 2 gate, which is in the middle of the river, stopped working about three years ago, in January 2012. The No. 1 gate, which stopped working this week, is located closest to Highway 126. Having two floodgates out of service increases the risk of flooding downstream if a major storm hits the region. The utility said the dam could handle increased flows during a storm slightly more severe than the one that hit the area last weekend with just one working floodgate.